I have had this recipe for more than 30 years. When visiting a friend in Colorado those many years ago, she made this for us and shared the recipe. 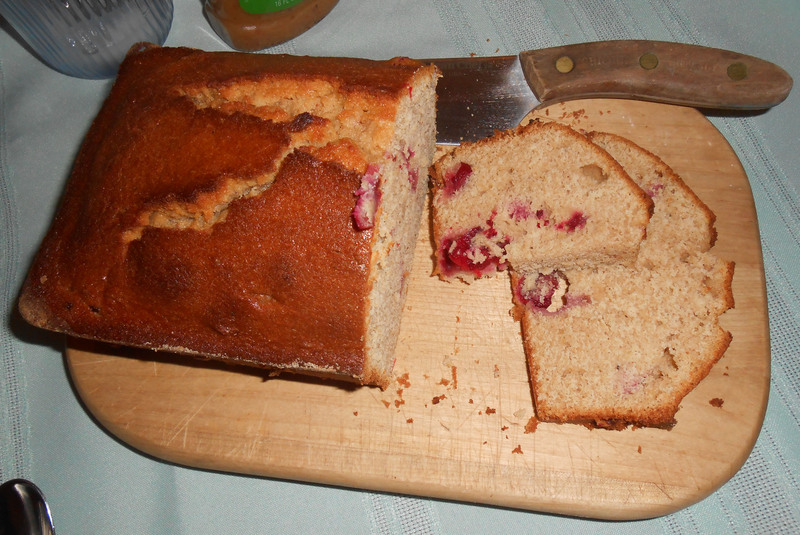 A marvelous pound cake. This is the perfect dessert to take when you are going to a pot luck or whatever. It travels easily and I’ve never met anyone who didn’t thoroughly enjoy it. Following what has become my normal baking routine, I substituted heritage flours for the standard white flour. However, I didn’t change the sugars. This cake wasn’t an experiment; I wanted it as a holiday dessert. Therefore, I didn’t substitute agave for white sugar. The problem was—since I wasn’t sure how the added moisture of the agave would affect the cake—I didn’t want to mess it up by making the dough too moist and the cake too dense or soggy. Besides, if I had to redo the cake, I would have had to run out to buy more eggs! There was no time for that! Bake 1 ½ hours in angel food tin. After baking place cake upside down on a sturdy bottle until it’s cool. Final Note: Delicious! 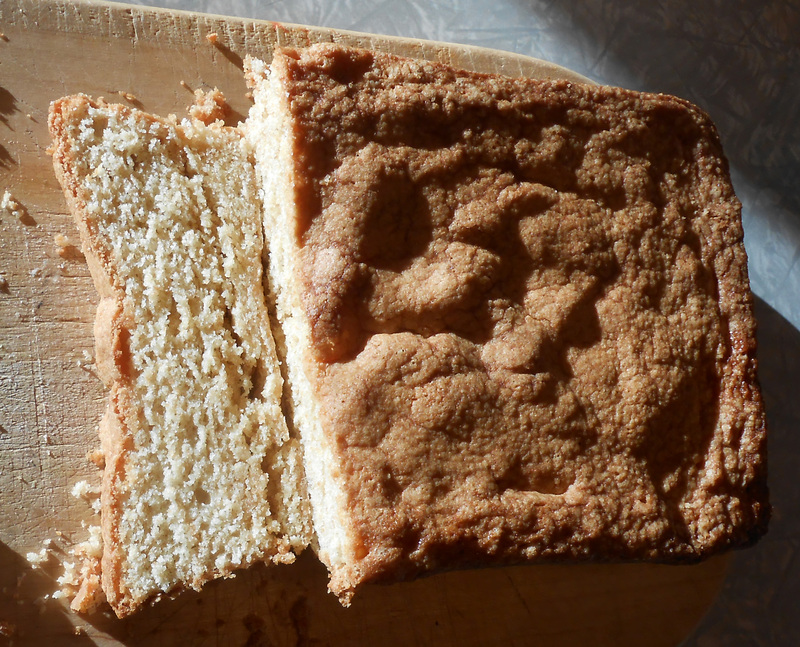 I had made this pound cake for years using a good bourbon, and loved it. However, in the last year or two, I’ve substituted Southern Comfort with excellent results. Even friends, who normally didn’t eat much or any dessert, ended up asking for a second piece. This will certainly please your guests. My sister and her sister-in-law, Jessie, came for a short visit, so I wanted to make something special for them—something I was sure they would like even though I’d never made it before. In perusing Jo Hiestand’s Cider, Swords & Straw, celebrating British customs cookbook, I found two recipes I had to make: Midnight Chocolate Cake (pp.360-361) and Eggnog Cranberry Tea Bread (p 368). As expected, they were both great hits. My altered recipes are below, but go to Jo’s cookbook (http://www.johiestand.com/) for the original recipes and for more information on fall British customs—as well as her intriguing British mystery series. Grease 2-9 inch round cake pans; coat lightly with flour. — In large bowl, combine dry ingredients: flours, sugar, cocoa, baking soda, baking poweder, and salt. — Mix almond milk, eggs, vanilla, and melted butter. — Blend wet ingredients in with dry ingredients. Mix until smooth. — Pour into cake pans and bake for 30 minutes or until toothpick inserted in the center of cakes comes out clean. — Set on wire racks for 15 minutes; remove pans and allow to cool on wire racks. — After frozen cut each cake into 2 horizontal layers- this is much easier after the cake is frozen. However, you can skip freezing the cake and simply slice each one into 2 horizontal layers, the freezing just make this part easier. — You now have 4 cake layers. — Gradually sprinkle in ¼ cup powdered sugar, beating until sugar is dissolved and white stand in stiff peaks. — In a separate bowl, gradually mix remaining sugar with egg yolks, water, butter, melted chocolate and vanilla. — Fold in egg white mixture, using rubber spatula. — Spread the filling between the cake layers. I felt the need to use 3 toothpicks to hold the layers in place because I didn’t make the cake surface flat. That is, I forgot to slice off the slight dome that forms with a cake bakes; having a nice flat surface on each side of the cake makes for a more symmetrical final presentation. 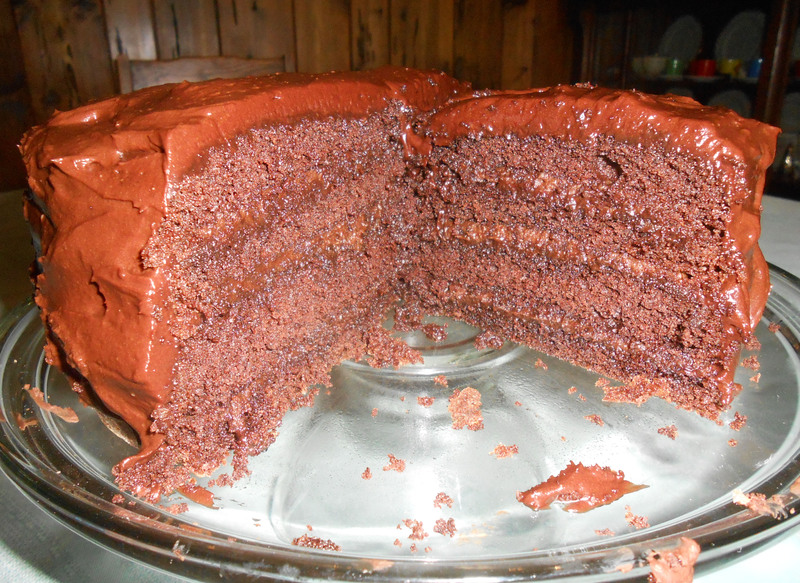 — Frost the entire outside of the cake with your chosen chocolate frosting. Enjoy with ice cream or whipped cream along side of slice of cake. 1 cup white whole wheat flour for the whole wheat flour. Also, after the 45 minutes of baking time recommended, my bread was still so unbaked that I added another 23 minutes and increased the temperature to 375 degrees. Your oven may vary, just be sure to use a toothpick to poke into the center of the bread when you think it’s done. The toothpick should come out clean. ENJOY! We all need a special dessert or sweet bread at some time. Try these, you’ll be happy you did. A friend of mine, Jo Hiestand, writes two fabulous mystery series set in village England. (You can find her at http://www.johiestand.com/.) Her Taylor and Graham series highlights different British customs and holidays. Her readers requested more information on the holidays and the foods favored for each. A recipe book, Cider, Swords & Straw (subtitled: celebrating British customs), was her answer to their requests. The book’s chapters on British holidays and cherished foods are organized monthly with full recipes given for each food mentioned. Full disclosure here, I have a long standing distrust of English foods. Somehow I had learned early on that their food was bland and boring, i.e., something to be avoided. Since I acquired this book, however, I’ve decidedly changed my mind. So far I have only tried a few recipes, but I—and my family and friends—have enthusiastically enjoyed each dish. As a result, I’ve decided to try one or more recipes each month and report on my new food adventure into traditional British foods, as given in Jo Hiestand’s book Cider, Swords & Straw. Some items will be breads or muffins, but others not. I will chronicle my food journey here. By the way, if you’ve followed my bread blog in the past, you know I often cannot make a recipe without changing something. If I do this, I’ll alert you to the change. All original recipes, of course, can be obtained in her book. I hope you come along with me and try some of these recipes. If you do, let me know what your reaction was, any changes you made, and how you and yours enjoyed (or not) the results. I started with the September chapter and made Lentil Cream Soup (p. 330), Lemon Plus Muffins (p 338), Sour Cream Chocolate Chip Cake (p 340), and Scotch Whisky Oatmeal Cookies (p 346). 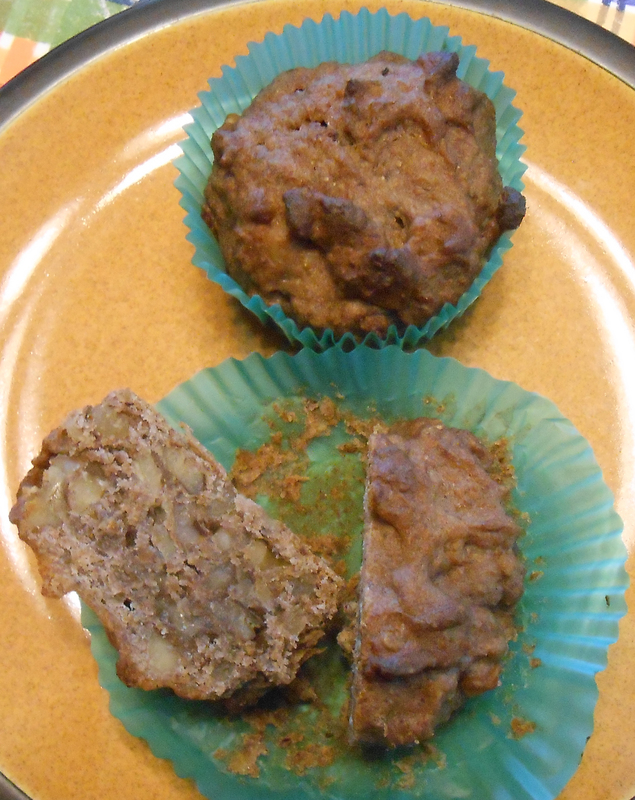 The first three were quite successful, the fourth—the Scotch Whisky Oatmeal Cookies—was just so-so. The latter may have been my fault; I replaced the flour with white whole wheat flour and the ½ cup of granulated sugar with ¾ of ½ cup of blue agave. If you try this one, let me know what happened with your cookies! Here are the Lentil Cream Soup and Lemon Plus Muffins I made. For the cake, I followed her recipe exactly. and messed up by back, etc., I am now into seriously trying to simplify cooking steps and ease the amount of time I have to stand in one place. The food processor works wonderfully well and I highly recommend it for making this soup. Rinse the dried lentils in a colander. Cut up all vegetables, using the food processor’s slicer attachment. Melt butter in large pot and add vegetables. Cook for approximately 10 minutes, stirring as needed to keep them from sticking. Add stock, milk, lentils and seasonings. 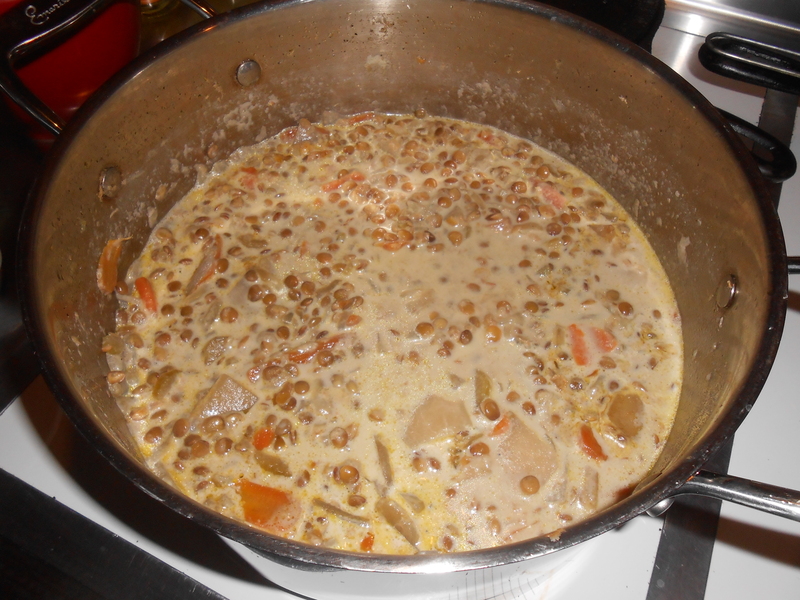 Bring to a boil, then simmer until lentils and vegetables are cooked—at least 30 minutes or as lentils require. Add cream—carefully and slowly to avoid curdling the cream. A big hit with everyone. Simple ingredients, but the soup has a come-back-for-more character. I love lemon in cookies, pies, breads, muffins, whatever. Often, however, I am disappointed with the strength of the lemon flavor. Not so with these wonderful creations. Lots of full, tart lemon flavor. Enjoy! In large bowl mix the 5 dry ingredients above and make a well in the center. In a small bowl, mix the yogurt, butter, egg and lemon juice. Pour the liquid mixture into the center of the dry mixture. Pour batter into muffin tin lined with muffin/cupcake cups. Cool 5 minutes in the pan, then transfer onto wire rack. Pierce 6-8 holes in each muffin. Generously drizzle each muffin with HOT glaze. In small saucepan, combine and cook the glaze ingredients over low heat. Stir frequently until the sugar dissolves. Fabulous. Has to be one of my, now, all-time favorite lemon muffins! I have a real weakness for chocolate chip cookies and needed something for a special occasion this weekend. I found these Black Forest Chocolate Chip Cookies in A Baker’s Field Guide to Chocolate Chip Cookies by Dede Wilson (page 39). They are—as the name implies—a chocolate cookie with a twist. 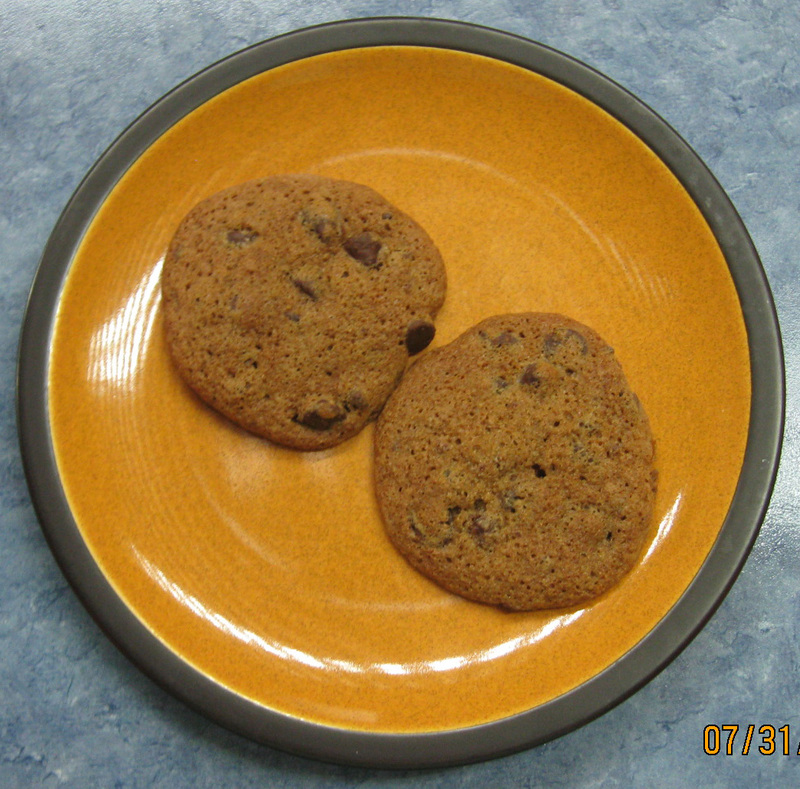 And, of course, mine are a further modified version of these modified cookies! I used emmer flour and whole wheat flour versus standard white flour but stayed with the white sugar. Next time I will try agave; however, since I need to take these to someone else, I thought that—at least with the sugars—I’d go more traditional. Also, I make my own vanilla extract using either vodka or brandy in a 4 oz bottle with one complete vanilla bean per bottle. In this case, the vanilla extract I used was the one made with brandy. Microwave the chopped cherries and Kirschwasser for 60 seconds. Let sit for 15 minutes so that the cherries have time to absorb the Kirschwasser. Mix flours, baking soda, and salt together in a medium-size bowl. In an electric mixer’s large bowl beat butter on medium-high speed until creamy (2 minutes). Add sugars gradually; beat until light and fluffy (3 minutes). Slowly add extracts, then eggs, scraping down sides of bowl. Gradually add the flour mixture; mix until just blended. Stir in plumped cherries, including 1 Tbl of remaining liquid, then chocolate chips. Cover with wax paper and the a tight layer of tinfoil over the bowl. Wilson says to chill for at least 2 hours. I put it in the refrigerator overnight and baked the cookies the next day. Cover cookie sheets with parchment paper. Drop rounded tablespoons of chilled dough onto sheets. Bake about 12 minutes. Put on racks to cool completely. Final Note: Delicious! The chocolate does appear to overpower the cherry flavor somewhat—but what chocolate lover would say that was a problem?